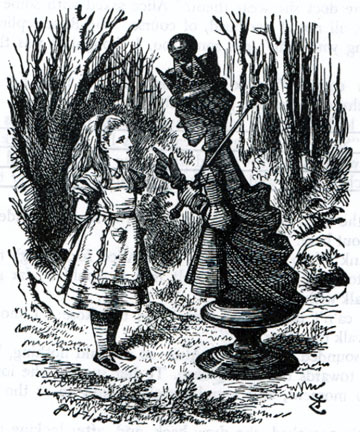 As I close out a couple of existing engagements and prepare to start a new one, I am reminded of the Alice in Wonderland series, mentioned several times by Saqib Ali, a frequent commentator on this blog. Through the Looking Glass is an apt description of what it feels like to enter into a new organization. With every organization you step through the looking glass, into a world that is defined by its own set of rules. Sometimes the rules make sense, most often they don’t – that is until you have a better understanding of the system, and how it relates to the world around it. My problem is that I get so excited and awed by this new world, that I forget to ask the basic questions about the game. I forget to remain in that place between believing and non-believing, between being a dancer and watching the dancing from a higher ground, between playing the game and playing the rules. This time I’ll try to remember. Rani said: This time I’ll try to remember.